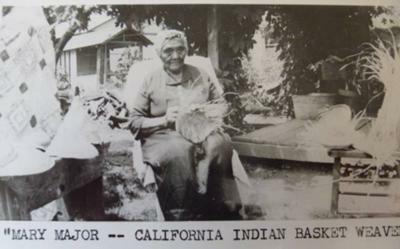 This isn't exactly my craft that I make, but I've been collecting the fascinating examples of baskets made by the Native peoples of what is now Northern California, around Mendocino county. 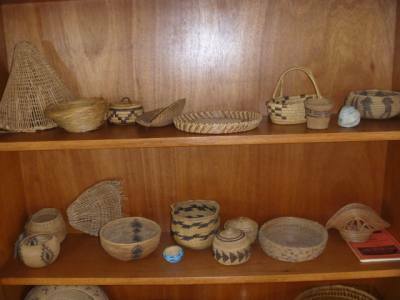 I lived there for years, and collected some of these beautiful crafts from friends that made them to sell at tourist traps, but also collected some extremely old baskets. Some of these are made from pine needles, others look like grass or other natural fibers. I have them displayed in my home, but feel that they may be better served in a museum setting, or sold to a collector who can treat them in the way they deserve. The pictures above show my collection, and the picture of Mary Major is from 1933, around the time she displayed her articles at the Worlds Fair. I have a newspaper clipping that mentions that.